All British Casino was launched in mid-2012 as the first online casino entirely dedicated to delivering a selection of casino games to the British public. However, the quintessentially British casino doesn’t only offer its gaming portfolio to players in the UK. The gambling site is licensed and regulated by both the UK Gambling Commission and the Malta Gaming Authority, which means that it also caters for players all over the world. The casino is owned and operated by L&L Europe Ltd in Malta. The games available at All British Casino are mainly supplied by the leading software company NetEnt with a selection of live table games broadcast directly from the luxurious land-based Portomaso Casino in Malta. 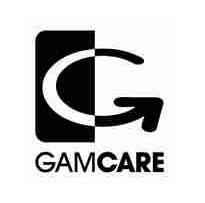 The sole focus of All British Casino is to provide the UK public with the best possible playing experience. As expected from the name, the site oozes patriotism. It is designed with the colours of the Union Jack; royal blue, white and red. All the famous British landmarks can be found throughout the casino in all their glory, including Tower Bridge, The London Eye, Big Ben, the Shard and the Gherkin. Navigation is pretty straightforward with plenty of clear and visible tabs as well as many handy notes that aid you in getting started. All of the casino’s games are available without the need to install any software, so there’s no risk at all of unwanted spyware or other threats. 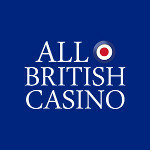 Although being primarily a British casino, there are plenty of players outside the UK who are welcome to play at the site. However, gamblers from the following countries have restricted access: the United States, the Netherlands, France, Spain, Italy and Estonia. In case punters have any doubts about the casino and its practices, specially trained British customer service representatives are available 24/7 via live chat, telephone and email. They are very quick to respond via email, often replying within an hour. All British Casino is powered by NetEnt, although it doesn’t only offer games from this provider. Players will find a lovely mix of NetEnt, Amatic, Microgaming, Bally, Barcrest, Thunderkick, and many more well-known games providers. You will find more than 250 video and fruit slots sorted in alphabetical order, with big titles like Avalon, Gonzo’s Quest, Emoji Planet, Game of Thrones, Starburst, Jurassic Park, Titans of the Sun, and Thunderstruck. The most popular jackpot games, such as Mega Fortune, Mega Moolah, Divine Fortune, Hall of Gods, and Arabian Nights, are all available on the site. Amongst the very popular games, there are many types of Roulette, Blackjack, Baccarat and Poker. There are both low and high-limit variations offered to players to cater for different sizes of bankrolls. There’s also an excellent selection of 20 Video Poker titles, a couple of scratch cards and lottery games, mainly Bingo. The live casino section is provided by Evolution Gaming at Portomaso Casino. Players can choose from 20 great live games, including Live Caribbean Stud Poker, Live VIP Roulette, Live Casino Hold’em and Live Blackjack Platinum VIP. Punters should bear in mind that the service is not accessible 24 hours a day as the live games are only available between 10am and 5am. Players can play their favourite All British games from anywhere in the UK and the rest of the world using the operator’s mobile casino app. There isn’t much mention of their mobile service on the site. However, we’ve tested it out ourselves and can confirm that all the casino’s games operate brilliantly on desktop as well as on smaller screens belonging to smartphones and tablets. All British Casino promises to pay all winnings within 24 hours (without any extra charges) during business hours between Monday and Friday. Punters can make us of a variety of different withdrawal methods, including Visa, Mastercard, Bank transfer, Skrill, Neteller, PaySafeCard, and Boku. Players should know that all withdrawals are carried out via the same method that the last deposit was made. This means, if you’ve made a deposit using Skrill eWallet, then you can only withdraw using that same Skrill account. Some transfers may take longer to be processed (up to four days), depending on the payment method chosen. Should players wish to make a cancellation, withdrawal reversals are only possible within 24 hours of submission. The gambling site doesn’t accept many different currencies, just British Pounds. The minimum deposit amount is £10, whereas the minimum withdrawal amount is £20. Players can withdraw up to £5,000 at a go. There are plenty of daily and weekly promotions running all the time at All British. One of the leading promotions is Surprise Spins Sundays which provides players with free spins on selected slots. The betting site is proud to offer UK punters a massive 100% match welcome bonus plus 10% cashback upon signing up. That means that a first-time deposit of £100 will reward players with an additional £100 in bonus funds to use in the casino. The minimum deposit to claim the free spins is £20. Regrettably, players must be residing in the UK to claim this gift. 18+ | Play Responsibly | Welcome bonus for new players only | Maximum bonus is 100% up to £100 | Min. deposit is £20 | No max cash out | Wagering is 35x bonus | Maximum bet while playing with a bonus is £5 | Eligibility is restricted for suspected abuse | Cashback is cash with no restrictions. www.begambleaware.org. Full bonus terms. The casino has a wagering requirement of 35x the bonus amount connected to all its bonuses and promotions on offer. The player must first play through his/her own money within 30 days before making use of the bonus amount funds. It’s worth knowing that some games like Video Poker and table games don’t count as part of the playthrough requirements. It’s always best to check the T’s and C’s before committing to a bonus. Depending on specific criteria and the activity of your account, players can join the exclusive All British Elite VIP experience. There are plenty of perks of being a VIP; these include a personal account manager, increased deposit limits and maximum bets, faster cashouts and priority verification, reduced wagering requirements and exclusive offers, events, and cashback deals. On the whole, there’s a lot we like about All British Casino. We particularly love how transparent the company is about their practices and how straightforward the site is to navigate. There’s a lot of attention to detail which has gone into creating the online casino, and there’s a high-quality selection of excellent games with rich, 3D graphics. On the other hand, we feel that the signup bonus isn’t the biggest around but the playthrough requirements are quite fair. It’s also a shame that the welcome bonus solely benefits UK players.